Let’s start with the elephant in the room: Social Media. Everyone is on some form of social media, and the platforms are easy to use. Social Media is so convenient too- just open an app on your phone to start connecting with customers around the world! Don’t check out on this chapter just yet- are you using the right platform for your business? Do you know all the platforms available? What about older platforms? Let’s throw social media platforms into 3 categories: Pictures, Words and Stand Alone’s. Almost all social media platforms have a spot for pictures- after all; a picture is worth a thousand words! Having great pictures of each of your products is essential to get customers to purchase from you. A well-lit picture of your product with an attractive background gives customers a solid look at what they could have if they bought from you. Pictures should be well lit with the focus on your product. Everything in the background should indicate how great their lives would be if they bought this product from you. Have fun with the background! If it makes you happy, or is very stylish, or brings up a sense of nostalgia it will make your customers feel that way too. Instagram allows you to continually post photos of your product. Put up pictures of your products on a regular basis, and follow lots of people to spread news of your online store. 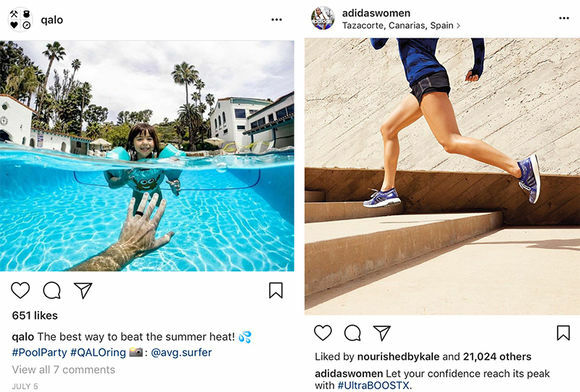 Don’t just put up lone pictures of your products- show fun pictures of people using your products. Show customers the life they could have if they had what your online store is selling. 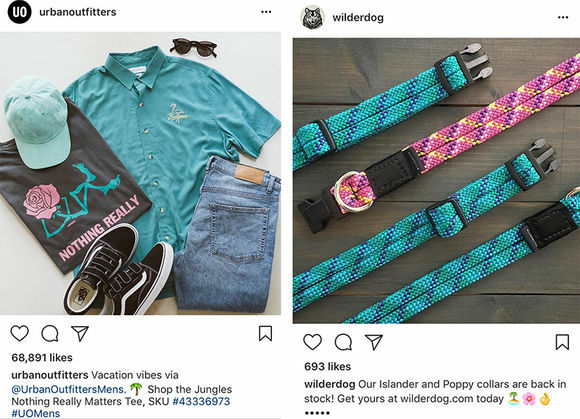 Use the stories function to have a post of your product at the top of their screen for 24 hours at a time. 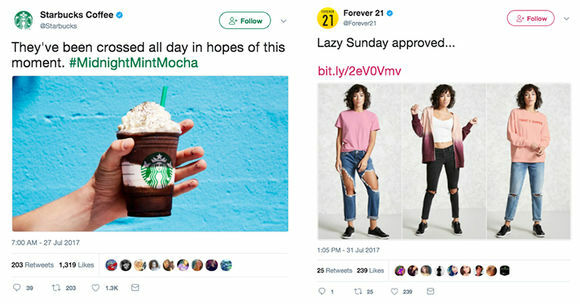 Do a little research to find popular hashtags that fit with your store and use them to your advantage. Make your own hash tag specifically to your shop, and ask customers to tag themselves using your product. To get your hash tag started, offer a discount to customers who promote your store. See more ideas on discounts and coupons with our guide to discounts and coupons. Pinterest works in a slightly different way: The photos are constantly up and constantly circulating around the website without you having to post regularly. You still should post often, since the more content you have the more your content gets seen and shared. 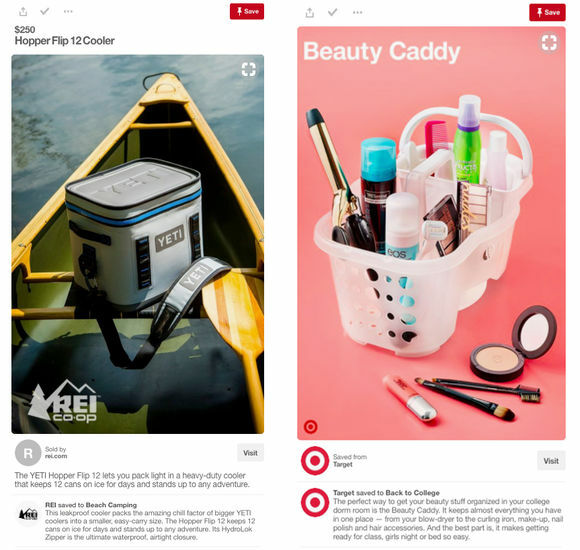 Pinterest also features trends, so pay attention to those. This social media platform is also great for seasonal use and showing how your product can be used for holidays. Specific parties like birthdays, weddings, and baby showers are pretty constant all year round so don’t forget those. Pinterest is great for getting traffic to your online store since the picture is the link- all customers have to do is double click the photo and they are sent directly to where they can buy it! Pinterest has a buyable pins option that you can link your products to as well. Tumblr is a blog platform that you can post photos on, and link your store description in them. If you search and follow the right communities on the website then you can usually target some customers and get a following going. This would be an excellent project for a rainy day, and it is easy to leave to its own devices. Check on it once or twice a week, and post relatively regularly. SnapChat is best used with the Story feature, which allows all of your followers to see it at once whenever they choose to throughout the day. This would be a great platform for after you have a following on other platforms- direct your customers to see what you are up to in real time. Show videos or photos of you unpacking new inventory, creating your product, or whatever is going on in your workspace. A connection to you and how passionate you are about your product is always a good incentive for customers to buy from you. Videos are great too. Instagram and SnapChat allow for short and sweet videos, but for longer ones, create a YouTube account. YouTube is a great platform if your product requires instructions to use. 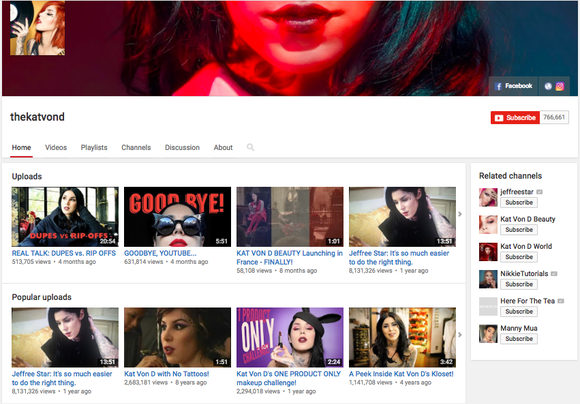 Kat Von D is a great example of how to use YouTube to instruct and promote your products. Her makeup tutorials show how to use each of her products and promote how great they would look on her potential customers. Showing customers how to use your product gives them somewhere to start, and might bring them back for your other products as well. Twitter can be great to keep people posted about new updates to your shop, when coupons and discounts are available and when a favorite product is back in stock. Throw up a few pictures of your best selling products, or a really fun picture of how to use a product. Think along the lines of using an inflatable pineapple at a pool party- fun, flirty and everyone wants to be there during the summer. Add the link to your store in each of your posts. Be aware that the link will automatically make itself 23 characters long, either shortening or lengthening the URL to fit this mold. The 23 characters also count in your 140 amount of characters, so keep your message short. Also, be sure to have the link to the store in your bio. Facebook is the most widely known social media for people of all ages. Everyone and their aunt is on this social media, so it’s essential to have an account for your website here to spread the news. With Selz you can even add a store right to your facebook page and sell directly to your fans. There is also a business category to put on your Facebook so people can find you easier. Make sure to fill in all the about sections on the side, and have an easy link to your website even with the marketplace option. You can never have too many paths to your website! The simpler it is to reach you the more customers you get. Stand Alones are social media platforms that really don’t need to be updated regularly. Check in on it once or twice a month to make sure everything is still running smoothly. These platforms won’t haul in customers like the busier sites will, but if it takes you 10 minutes to set up and gets 1 or 2 customers then your time was well spent. Make your online store a Wikipedia entry, and make sure to have a section on your popular hash tag meanings just in case someone decides to Google their meaning. It would be a good idea to have a paragraph on why you decided to open your online store, and whenever you feel that doubt creeping in, open up your Wikipedia page to remind yourself that you are a great online store owner with a purpose. LinkedIn and Google + are also two platforms that can be set up and left to function without constant supervision. People aren’t generally looking to buy products from these platforms, but again if it gets a few customers to traffic your website the small amount of setup time is worth it. Each of these platforms has something different to offer. Having a picture of your product is always great, but if it is simply an item that has one purpose there is no point in having a bunch of the same picture over and over again. Figure out how to incorporate it into trends. If you sell home goods, have a nice picture set of your product on Pinterest and talk about home remodeling or something similar on Facebook and Twitter. Tell the customer what you can do with your home good product, and why. Follow similar blogs and spread the word out to the customer base there that is looking for your product. Place your product in a “this could be you” type of mindset to entice your customers in. With all of these social media accounts, make sure to check your settings and have them open to the public. Have a friend or professional go through each of your accounts for feedback on what to change, fix or improve. Plan on updating your accounts regularly- review your about sections and other areas to reflect how your online store has grown. Also, keep on the lookout for new avenues of social media to promote yourself in- technology is always improving and entrepreneur online sellers need to stay at the forefront of it to continue staying in the game. In Chapter 3 we will continue the technology theme with Emails and Subscription Services. Think about how often you check your email, and now apply that to how many customers could be seeing you in their inbox regularly!